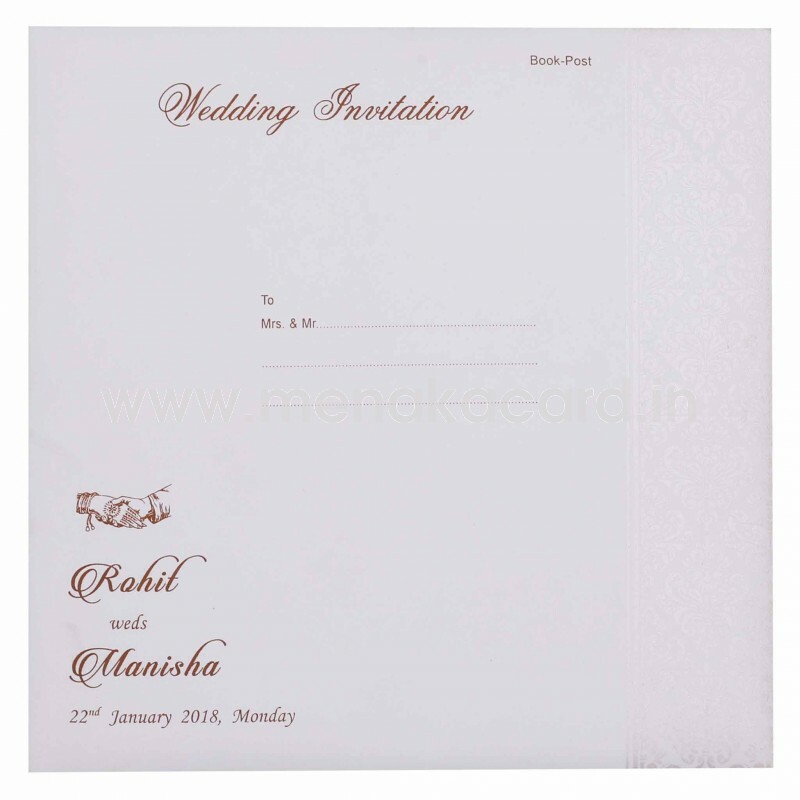 This luxurious off-white book model card is made from a classy shimmer board material imprinted with a delicate floral damask lancer prints in pearlescent ink as the background for a damask design that holds the names of the couple, printed in gold foil on a brown band at the bottom of the card. 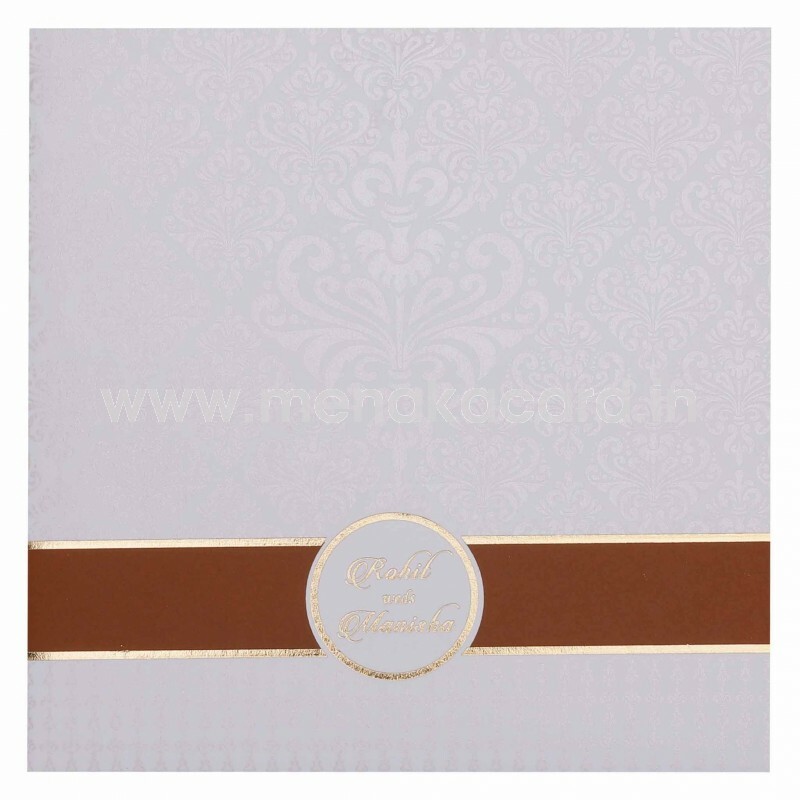 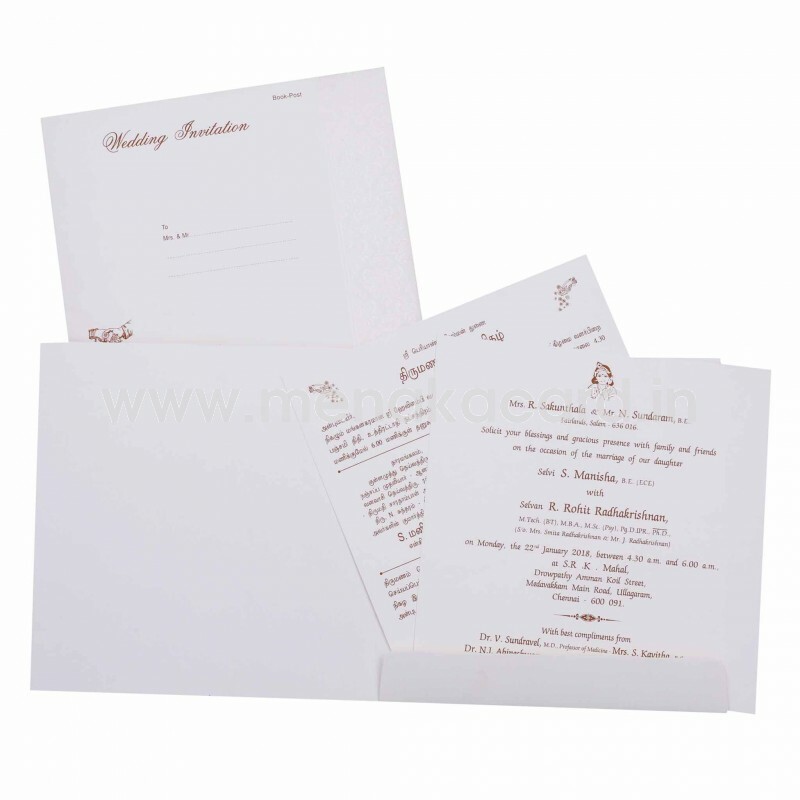 An elegant damask border gold ink graces the bottom of the card which opens to reveal the two inserts sitting in a solid flap. This can be used for Hindu, Muslim and Multi-faith weddings as well as sadabishekam, sashtiapbthapoorthy, upanayanam etc.